GST implementation may hold positive surprises for states' finances and as per the initial calculation, the states can look at a total gain of Rs. 350 to 450bn (0.2-0.3 percent of GDP). According to Standard Chartered Bank's special report India - States' Finances: The other half of the story; this should easily help absorb most of the additional strain on fiscal deficits. If states can keep their fiscal deficits within the budgeted target (2.7 percent) and the central government adheres to its target of 3.2 percent of GDP, the combined FY18 deficit could be six percent (or lower) - the narrowest since FY08. The study has assessed the underlying dynamics of various states' finances over a decade and identified the consistent outperformers / underperformers. Together, the 18 states in the sample (the study has considered Andhra Pradesh and Telangana jointly, as the splitting of the state in 2014 creates accounting issues in analysing them separately) account for 90 percent of all states' gross state domestic product (GSDP), fiscal deficits, revenue and expenditure. Finances deteriorate but remain in check: Higher capital expenditure and a slower pace of own-tax revenue collection have led to wider fiscal deficits for states since FY13. This has more than offset the benefits of states' increased share of central government taxes from FY16. Budget Management (FRBM) Act. Factoring in UDAY bond issuance, states' aggregate fiscal deficits in FY16 and FY17 (revised estimates) were 3.2 percent and 3.6 percent of GDP, similar to 3.5 percent for the central government in FY17. This appears to be a breach of the FRBM Act. However, State Electricity Boards' (SEBs') debt has been an off-budget liability for states. Its inclusion in states' fiscal deficit calculation is therefore not a fresh liability. As a result, the study has observed that this is as an optical rather than an actual breach. 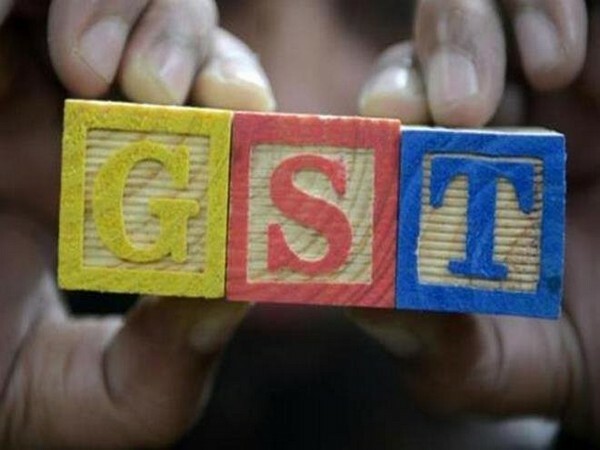 GST implementation could provide a positive surprise for states' finances: The findings estimate that the 18 states tracked in aggregate aim to keep their FY18 fiscal deficit unchanged from FY17 at 2.7 percent of GDP (excluding UDAY impact). It is estimated that the risk of slippage is limited to 0.1 percent of GDP, given that: additional interest payments on UDAY bond issuance have been partially budgeted for; most states are still assessing Pay Commission recommendations, with the exception of one that has have announced firm dates for salary increases; and the additional expenditure burden of farm-loan waivers for most states (apart from Uttar Pradesh) is likely to be small. The report points out that it expects limited risk of slippage unless several states unexpectedly implement salary increases mid-year. implementation in mid-2017 should mean higher revenues for all states. The central government has agreed to compensate states for any revenue loss for five years after GST implementation. Broad adherence to rules masks wide divergence: Notwithstanding broad adherence to fiscal consolidation rules at the aggregate level, fiscal performance diverges significantly among states. During FY14-FY16; 25 percent of the 18 states consistently ran fiscal deficits wider than 3% of GSDP, and 55 percent ran revenue deficits. Fiscal consolidation rules required states to eliminate their revenue deficits by FY15. Performance Index, reflects these factors. Similarly, some states (such as Punjab, West Bengal and Himachal Pradesh) consistently rank lower in the Fiscal Performance Index due to factors such as late adoption of fiscal responsibility rules, high recurrent expenditure and thus high outstanding liabilities. State Development Loan (SDL) yields do not reflect divergent fiscal health: Despite significant differences in the financial strength of states, market pricing of SDL yields shows no corresponding differentiation. The study observes that there is no relationship between rankings based on states' fiscal performance and their cost of market borrowing. The dispersion of yield levels between states is also narrow.